Is Your Company Ready for Enterprise Service Management? Don’t try to help other corporate service providers before helping yourself. There are many maturity models out there, ITSM-related or otherwise, that often build on the work of the CMMI Institute, a subsidiary of ISACA, and its Capability Maturity Model Integration (CMMI) program. For instance, AXELOS – the custodians of the ITIL ITSM best practice framework – offers two different CMMI-flavoured ITIL maturity models: a high-level self-assessment service and a full self-assessment service. Both of which utilize process-based scoring using a series of pertinent questions. And Gartner – the global research firm – offers an alternative, process-based view of ITSM, okay ITSSM (IT service support management). But whether this is the best measure of your company’s ITSM capabilities, and thus readiness for enterprise service management, is debatable. Why? Because it can be a very inwardly looking, process-based view of the world that might easily overlook how both IT and end users feel about the corporate ITSM capability. Think about it – the IT department is probably scoring itself based on what it, or a small group of people, thinks it should be doing instead of what everyone else might actually want and need. Enterprise service management is about providing employees with consistently high-quality services and support, no matter the line of business involved. Thus, if we want to extend IT’s approach to providing services and support to other business functions, surely we need to be checking that what the IT department provides is actually meeting customer and end user needs (within sensible operational constraints)? So while your company’s last ITSM maturity assessment will provide interesting insights into different ITSM capabilities, the real assessment of the suitability to other lines of business lies with your company’s employees. Plan for additional changes, which might not need to start within the IT department – as other lines of business using enterprise service management will open up additional opportunities to test different ways of working. Finally, don’t assume that IT has all the answers and all the best processes – other business functions might have processes in place that would benefit IT over existing ITSM best practice. Importantly, the goal here is business improvement, not to impose IT’s way on the rest of the organization. Understanding the common issues and opportunities across corporate service providers such as IT, HR, and facilities, and how enterprise service management can help. Coming away with an appreciation of what enterprise service management entails and how ITSM processes and technology can support other business functions. Receiving practical tips on how to best start out, plan, deploy, and succeed with enterprise service management. Stephen Mann takes a look at four key drivers that are helping enterprise service management’s cause. Take a look to see what they are. 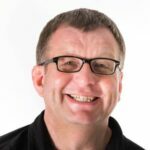 There are a number of other opportunities to increase the odds of self-service success, here Simon Johnson of Freshservice discusses his eight tips.